The pharmaceutical industry represents a large and very powerful component of our nation’s economy. While prescription and over-the-counter medications afford much-needed relief for many diseases and medical conditions, not all drugs are safe, even when they are used as directed. As manufacturers rush to get their products to market in order to maximize profits, medications sometimes reach consumers before all potential side effects are identified and made public. One example is the newly evolving link between the use of proton pump inhibitors (PPIs) and chronic kidney disease. If you or a loved one has taken a PPI drug and now has chronic kidney disease, you should contact a proton pump inhibitor attorney to discuss your legal options. At Moll Law Group, we are dedicated to fighting for the rights of consumers nationwide who have been harmed by dangerous drugs. Proton pump inhibitors are available both over-the-counter and by prescription. Patients who take them do so in an attempt to reduce stomach acid to combat conditions such as acid reflux disease, indigestion, and heartburn. Some patients take PPIs only for a short course of treatment, while others take these drugs regularly for years. Side effects such as dry mouth, constipation, abdominal pain, headaches, and nausea are unpleasant but manageable for most people taking PPIs. 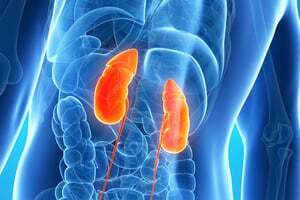 The problem is that, for some people, there is a potential for much more devastating side effects, including chronic kidney disease (CKD), acute interstitial nephritis, and renal or kidney failure. Chronic kidney disease is a potentially life-threatening illness that can result in kidney failure necessitating dialysis or a kidney transplant for the patient’s survival. Moll Law Group helps victims across the nation seek compensation for injuries and wrongful deaths caused by dangerous and defective products, including chronic kidney disease possibly caused by PPIs. Through product liability lawsuits arising from design defects, failures to warn and other marketing defects, manufacturing defects, negligence, and breaches of warranty, our proton pump inhibitor lawyers strive diligently to recover every penny to which our clients are entitled. Billions of dollars have been recovered in cases in which we have been involved. In order to be successful in a product liability case, the burden is on the plaintiff to make out the elements of his or her case by a preponderance of the evidence. In a negligence action, for example, the injured person must show that the defendant owed him or her a duty of care, that the duty was breached, and that the plaintiff sustained harm that was caused by the defendant’s breach of duty. Strict product liability actions also require proof of the plaintiff’s damages but are based on the theory that the item in question was unreasonably dangerous when it left the defendant’s control. This means that the elements of duty and breach are not required. Product liability lawsuits may name a manufacturer, a wholesaler/distributor, or a retailer as defendants. Often, all three are named, and a plaintiff may seek to obtain a judgment against multiple defendants who may be held jointly and severally liable. The compensation to which a person injured by a dangerous or defective drug may be entitled depends on state law, as does the period of time allowed for filing a claim in order to comply with the applicable statute of limitations or statute of repose. In most cases, the plaintiff can claim medical expenses, lost wages, and pain and suffering. Additionally, an injured person’s spouse may be able to assert a claim for loss of consortium, and a deceased person’s estate or relatives may be able to recover funeral costs, burial expenses, lost net earnings to the estate, and other damages in a wrongful death or survival action. If you or a loved one has taken a PPI, such as Prilosec, Nexium, Prevacid, Protonix, AcipHex, Dexilant, or Kapidex, and experienced chronic kidney disease, acute interstitial nephritis, renal or kidney failure, or another complication, you may have a cause of action against the makers or sellers of the drug that you or your loved one took. The experienced proton pump inhibitor lawyers at Moll Law Group work with leading product safety experts and medical experts throughout the nation, including in Illinois, Texas, Florida, New York, California, Ohio, Michigan, and Pennsylvania. Call us at (312) 462-1700 or contact us online for a free, confidential case evaluation with a pharmaceutical attorney.